Everybody has their own way of expressing themselves and some people do it with their hair. For some women the hair on their head is their own work of art. It could be a fancy up-do or a vibrant shade of red, the way one styles their hair is an expression of art through hair. A ponytail says, "I'm ready for action," and dark black hair says, "leave me alone." Believe it or not, hair is an artistic expression for women. There are women who simply don't care and are going for the chilled out look with dreadlocks and other women who have their hair spick and span everyday. I currently have a braid with beads at the end strung in my hair, some of my friends have feathers, a recent fad. Every time I go to the beach I return with a little more than just sun highlights in my hair. 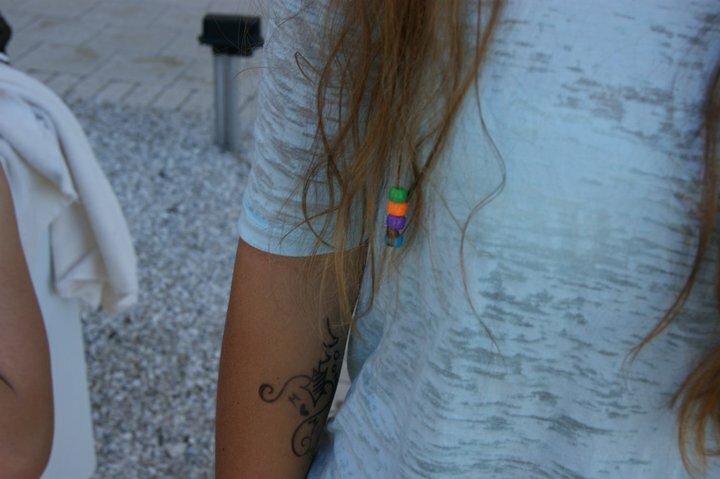 Sometimes its a beaded braid and sometimes its a colorful hair wrap but no matter what it signifies freedom. It is an artistic expression of freedom weaved into my hair. Headbands, hair ties, bows and clips to tie down the loose hairs show a little bit of personal expression as well. Color and cut are the most obvious ways of artistic hair expression. Light, light blonde obviously signifies the dumb blonde look that many women go for. Vibrant, neon colors show an edgy girl and darker browns show sophistication. Hair is an expression of art from style to color. Watermark theme. Theme images by ElementalImaging. Powered by Blogger.